Still no U.S. release date, but hey, that cover sure is pretty. Kingdom Hearts 3D: Dream Drop Distance debuts in Japan March 29, and with the date quickly approaching, Square Enix made fans happy by releasing the official box art. 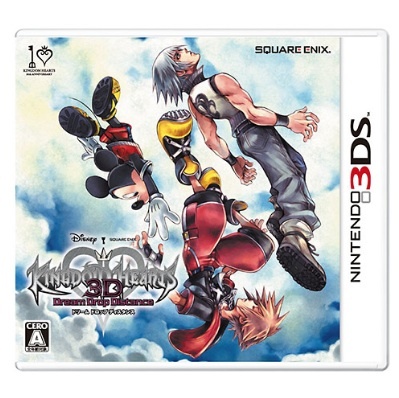 The cover features heroes Sora, Riku and Mickey Mouse tumbling through the air. It's impossible to tell whether the cover has a foil coating, similar to Sega's Shinobi. Keep in mind this may or may not be the box art for the U.S. market.